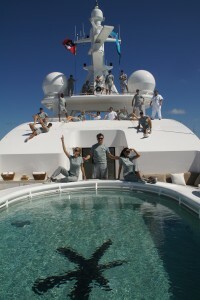 You are here: Home / Book News / “The Insiders’ Guide to Becoming a Yacht Stewardess” 2nd Edition – Out Now! 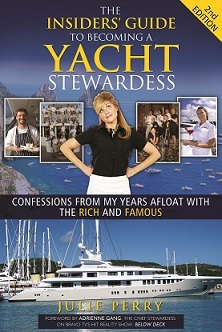 Part how-to guide, part travelogue, The Insiders’ Guide to Becoming a Yacht Stewardess: Confessions from My Years Afloat with the Rich and Famous not only outlines the step-by-step process to getting a job on a luxury yacht… it also reveals what life is really like aboard these oceangoing toys. And our updated, 2nd edition was just released in paperback AND e-book formats on August 1, 2013! Order now on Amazon.com! Networking with a high-profile, jet-set crowd as you venture to the most exotic and remote ports in the world… This is work abroad at it’s FINEST! Learn HOW in Julie Perry’s The Insiders’ Guide to Becoming a Yacht Stewardess, and get hired onto a luxury yacht in no time! Read dozens of testimonials from Julie’s readers here. Let seasoned travel professional Julie Perry be your guide to the private domains where royalty, celebrities, and billionaires vacation. Julie spent nearly three years visiting exotic destinations working in the midst of unbridled luxury. This Insiders’ Guide is based on her work experience, interviews with yacht industry experts and recruiters, as well as accounts from her own personal journals. 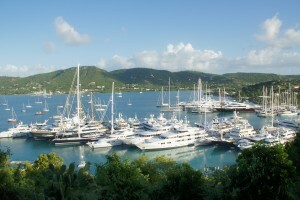 The Insiders’ Guide to Becoming a Yacht Stewardess is divided into two parts. 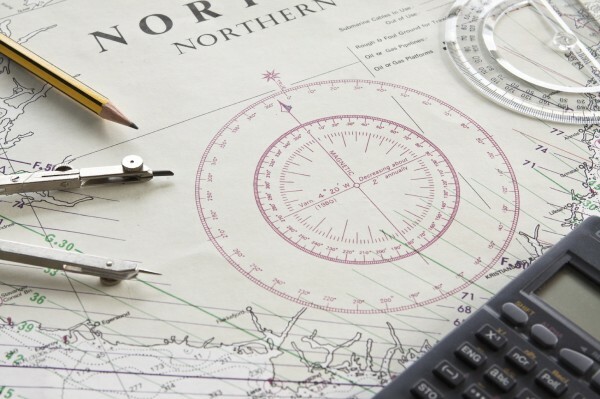 A brief run down of the various other crew positions (from deckhands to chefs and engineers) available on a yacht along with job descriptions and how they are organized. Two full chapters devoted to a yacht stew’s responsibilities and what your daily duties may include. This is about as comprehensive as it gets! 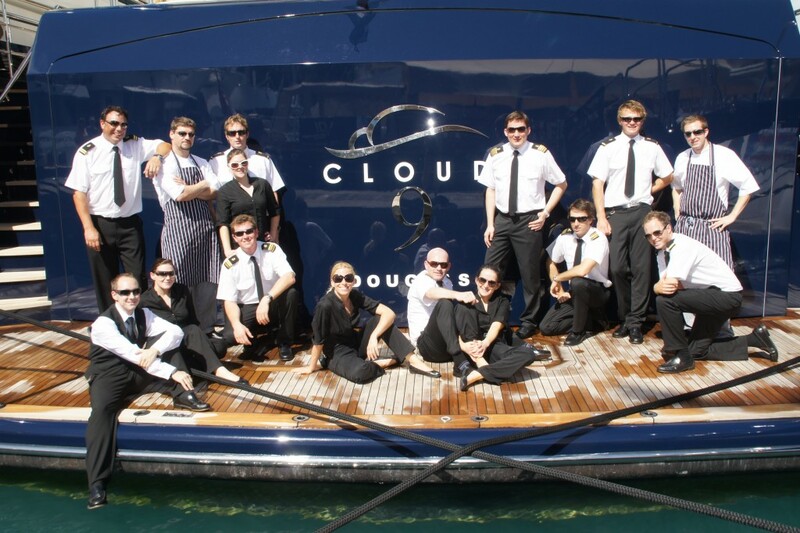 From the pay to the people and back to the travel, this Insiders’ Guide also covers all the perks that make luxury yachting such a dynamic and incredible career path…no matter what your background! An examination of careers that work on yachts can prepare you for—whether it’s in another part of the industry (at sea or land-based) or doing something in an entirely different field (the future is bright, indeed!). With the insider tips and advice delivered in this career guide, you will be shocked to discover how it’s much easier to get one of these dream jobs than you probably ever imagined!